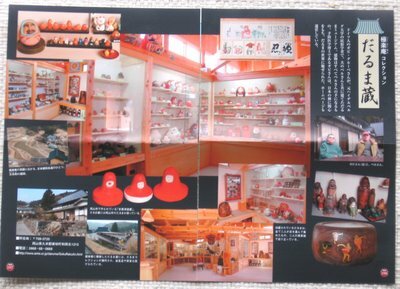 There is a double-page where our Daruma Museum is introduced ! 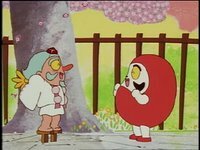 Thank you, Nakamura San, for your great effort with the Daruma lore! 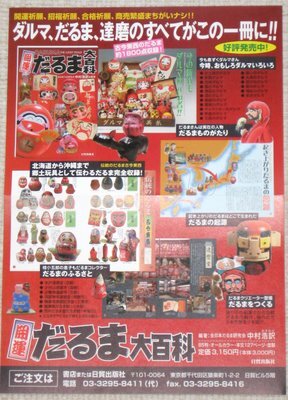 Why did Daruma come to Japan ? 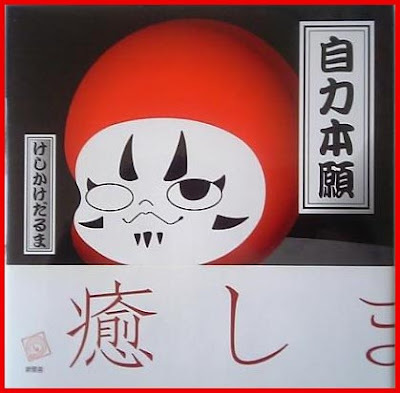 Daruma, an incarnation of Kannon? 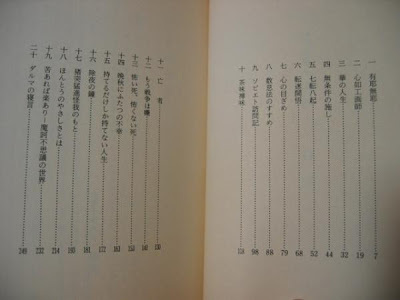 or Monju?
. 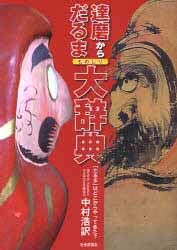 達磨大師由来の袈裟 - Daruma no Kesa . 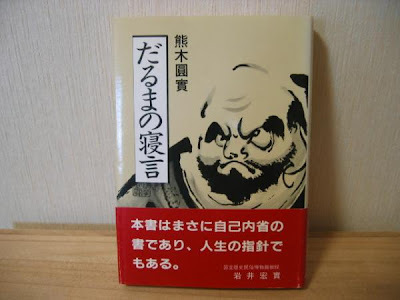 Daruma: The Founder of Zen in Japanese Art and Popular Culture. Yuko-chan and the Daruma Doll, a gorgeous book by author/illustrator Sunny Seki, takes readers on a journey into ancient Japan and the story behind the famous Daruma Doll. 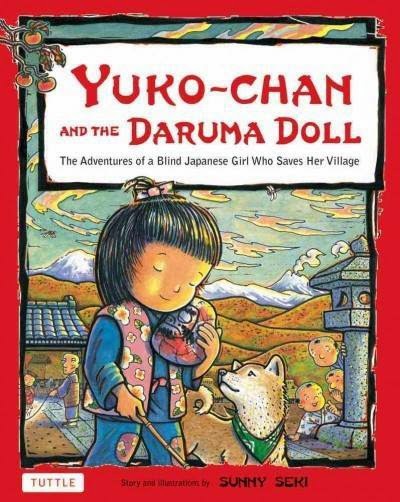 Yuko-chan, an adventurous blind orphan, is able to do amazing things. She confronts a burglar in the dead of night, and crosses treacherous mountain passes to deliver food to hungry people. During her travels, Yuko-chan trips and tumbles down a snowy cliff. She discovers a strange thing as she waits for help: her tea gourd, regardless of how she drops it, always lands right-side-up. The tea has frozen in the bottom of the gourd! 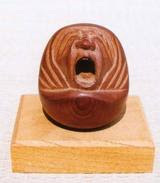 Inspired by this, she creates the famous Daruma doll toy, which rights itself when tipped—a true symbol of resilience. Thanks to Yuko-chan's invention, the villagers are able to earn a living and feed themselves by selling the dolls. Yuko-chan never gave up, no matter the obstacles she faced, and the Daruma doll is a charming reminder of the power of perseverance. 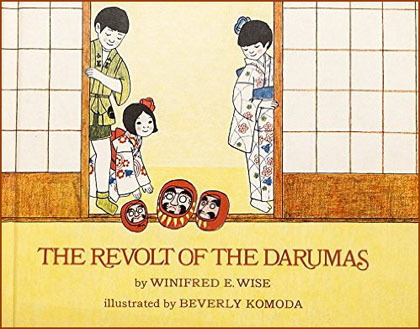 Three one-eyed darumas earn their second eye in spite of their revolt.
. Paint your own Daruma 達磨画入門 - Booklist . 自力本願 Do it with your own power ! The foxes go out to look for a Daruma with a navel. 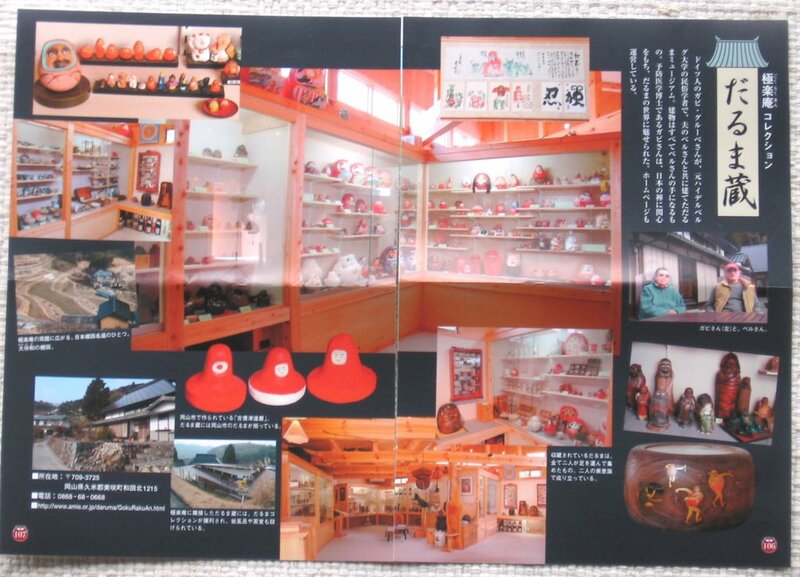 With many examples of Daruma San. So here, 'Selfless love' has to be the obvious motive to guide you through such projects, because to expect fame or money out of such endeavors is humanly impossible! So your work shows the mettle you are made of!